This report is the report to use to track the sales made by your Dispensers. In addition to tracking frame sales, you can track sales by the other product types. There are also additional filters to search for sales by Manufacturer, Designer, Insurance Company, Commission Class, Frame Type and/or Add On Type. 1. 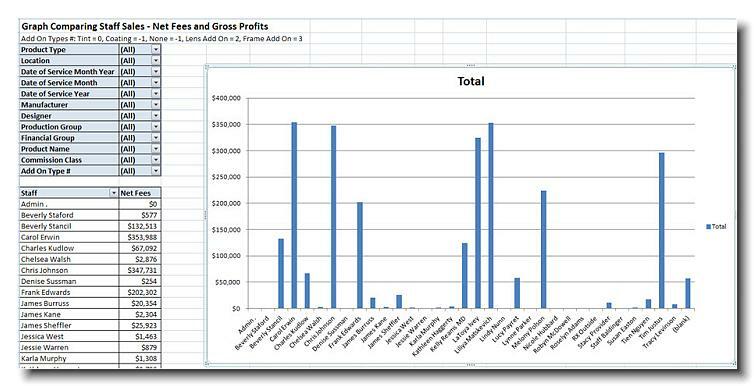 Comparing the staff sales with Net Sales, Gross Profit and Gross Profit %. 2. 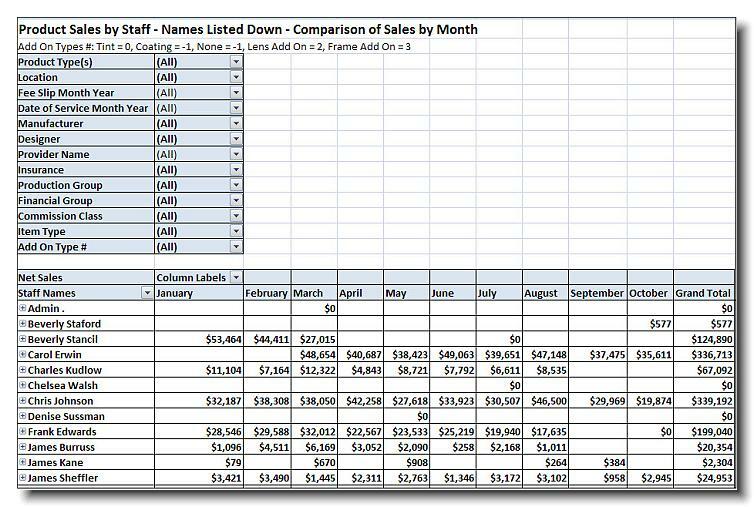 Staff comparative sales by months across the columns. 3. Frame Names down the column and staff names across - compare what dispensers are selling what frames. 4. 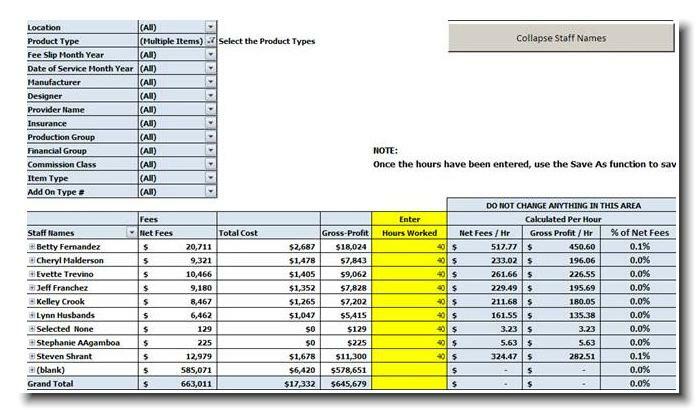 Compare staff sales by days - comparing the names across columns. 5. A Graph comparing the net sales of each staff member for the period and criteria selected. For more information on how this eyeReport can show you how your dispensers are doing, watch our 2 minute video!